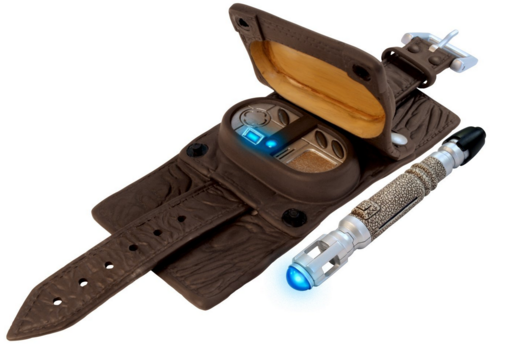 Doctor Who Vortex Manipulator And Sonic Screwdriver Just $16 Down From $36! You are here: Home / Great Deals / Amazon Deals / Doctor Who Vortex Manipulator And Sonic Screwdriver Just $16 Down From $36! Check out this fun Amazon deal. The Doctor Who Vortex Manipulator And Sonic Screwdriver is just $16 down from $36! Get yours now before it’s gone! This item features a light, an adjustable strap and a removable cover. Strap 7 inches. The Ninth Doctor’s Sonic Screwdriver. Batteries Included.